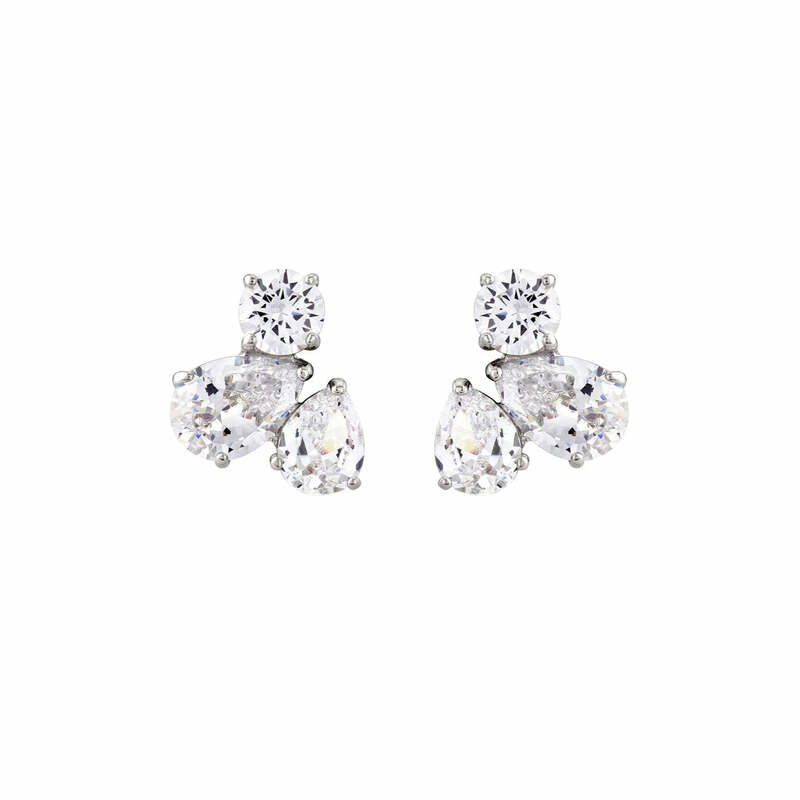 Chic and simply beautiful you'd be forgiven for mistaking these divine studs for precious diamonds. Diamonds may be a girl's best friend but these darling studs look like a precious pair - just without the five digit price tag. Featuring a cluster of two pear cuts and a brilliant cut cubic zirconia, you'll adore Cluster of Class Stud Earrings if you love costume jewellery that could easily be mistaken for the real thing. With delicate sparkle, this timeless pair will take you from day to evening, lunch to a fabulous white tie ball, with effortless class. Beautiful bridal earrings for brides who favour understated gems, their versatility ensures you can wear them time and time again after your wedding day to keep those treasured memories with you. Coordinate with a simple crystal bracelet for a bridal style to envy. Fabulous as bridesmaid gifts too, your 'maids are certain to adore these sensational studs of sparkle.